Here's a link to my book page on the IVP website. It gives a description and table of contents, and also lists some "features and benefits" and my lone endorsement thus far from John Ortberg. It's a start. The picture on the sidebar also links to the InterVarsity Press page, though as soon as my book appears on Amazon, the link will go there. By the way, even though IVP gives you the chance to pre-order my book, I would request you wait to pre-order it from Amazon.com for reasons I will discuss in a future post. Casey's comment on my last post raises an interesting question: Do you think it's more socially acceptable for men to be introverts than it is for women? I asked this question a while ago, but I would like to re-introduce it because it has become more immediate. My manuscript is finished and now in the proof-reading phase, so marketing is front and center. I'm sending out copies to some potential endorsers, and we're formulating strategies for how to promote it. A unique thing about my book is that its target audience is HUGE, and yet we can't really pinpoint where to find potential readers, because so many introverted Christians are hovering around churches but not necessarily fully involved in them. So a big marketing push for my book to be small group curricula might not be all that effective, because the people that would most benefit might not be in small groups! I'm guessing that many of my potential readers have more of an internet presence than they do a church presence. Do you agree? I'm going to be sending out copies of my book to well known bloggers and also be doing some work on Facebook, and my book should have a page on Amazon in the next month. Do you have other ideas? I would love to hear them. Comment or send me an email! Help the introverted cause! 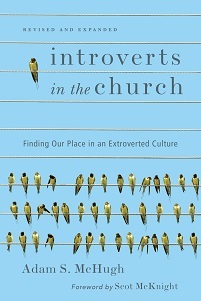 Some introverts will find that "contemporary" worship services are not fitting environments for them. The chatter and overall ubiquity of words, the overt enthusiasm, the social informality, and the call for public displays of devotion may all contribute to a general uneasiness. My wife and I attended a large evangelical church last year where they handed out kazoos before the beginning of a service. The worship leader explained that just as David danced before the Lord, so should our worship be childlike and shameless. Matt Redman has written that "Our Heavenly Father loves us with an extravagant abandon. Passionate, undignified worship is our only reasonable response. "(1) Although introverts are capable of emotional and celebrative displays of worship, "passionate" and "undignified" would generally be exceptions. Churches that seek these kinds of responses, and elevate them to the pinnacle of Christian experience, run the risk of alienating introverts. (1) Matt Redman, The Unquenchable Worshipper, p. 44. As usual, I loved the holiday weekend and connected with a lot of family and friends around the celebration of salvation and new life. But man, am I glad it's over. I feel like I need a personal day to recover my introverted energy. Who's with me? In this post I will avail myself of the opportunity to combine two loves: introversion and baseball. Yesterday's renewal of baseball season stirred some thoughts about how introverted athletes cope with the incredible pressure of the spotlight. I am a die-hard Seattle Mariners fan, and Ichiro Suzuki is one of my favorite athletes. My educated guess is that he is an introvert, though no doubt there are also some Japanese cultural components that affect his demeanor as well. Ichiro is exceedingly composed and cool, showing little outward emotion or excitement. Yet last week he was diagnosed with a bleeding ulcer, which doctors surmised was at least partially caused by stress. Laurie Helgoe, in her book Introvert Power, says that introverts seek out mental health services more that extroverts and also tend to carry stress and pain in a different way. Introverts internalize stress, taking it into themselves, and not coincidentally, are at greater risk of health problems like ulcers. 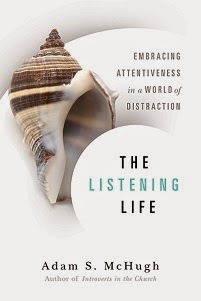 I say in my own book that I think our internalizing tendencies can be both good and bad; good, because in conflict, we may be calm and tactful about what we say, bad, because our internal monologue can cut deep into us and burn away at our sense of self-worth and emotional well-being. What are your thoughts? How do we combat the adverse effects of our internalizing?